Six representatives of the Healthcare Is a Human Right Collaborative attended the Single Payer Strategy Conference at the end of October in Chicago. Together they ran a participatory Healthcare Is a Human Right workshop, presented on two panels, and connected with allies from around the country who are organizing in their own states for universal, publicly financed healthcare. The conference was organized by Collaborative allies Healthcare-NOW!, Labor Campaign for Single Payer, and One Payer States, and centered around five strategy questions that asked how we build a social movement, how we organize around specific aspects of the Affordable Care Act, how we move state and national campaigns to victory, and how we concretely confront inequities in our work. 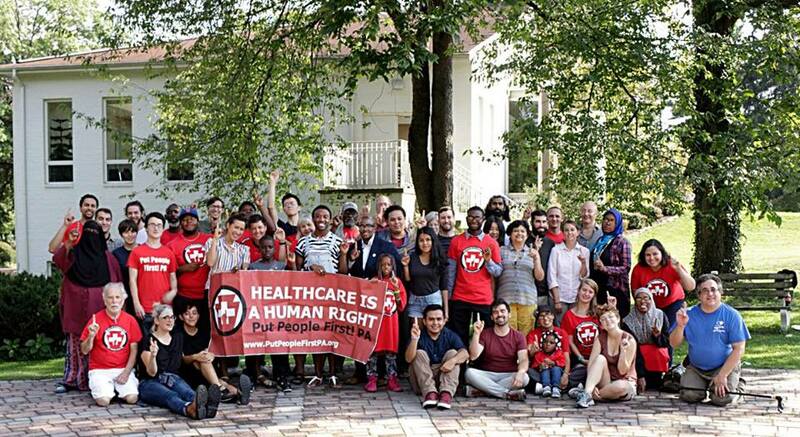 The Collaborative’s Healthcare Is a Human Right workshop modeled the HCHR campaign’s participatory, human-rights-based approach to organizing. The six facilitators—three members from Put People First! Pennsylvania (PPF-PA), two from the Vermont Workers’ Center (VWC), and one person from NESRI—spoke to how the ingredients of the HCHR campaign model intentionally and strategically address the challenges raised in the conference’s strategy questions. Participants broke into small groups to actively engage in exploring one of the HCHR campaign ingredients. The groups focused on base building, leadership development and political education, and the human rights framework, and were a space for participants to ask questions, share ideas, and engage with others in the room. Keith Brunner from the Vermont Workers’ Center also spoke to the full conference on lessons from Vermont, and Jonathan Kissam from VWC and Ben Palmquist from NESRI spoke on a panel about the importance of making sure healthcare for injured and ill workers, which currently operates under states’ workers’ comp systems, is part of our policy vision for universal healthcare. Ben also presented at the Annual Meeting of the American Public Health Association, speaking on the importance of situating healthcare policy within a broad economic and social rights framework that puts human needs at the center of all policies, and that includes democratic modes of governance that respect and elevate the knowledge and leadership of people who are impacted by injustices. On November 10, Cathy Albisa from NESRI and James Haslam from Collaborative ally Rights & Democracy (and formerly from VWC) also spoke about the HCHR campaigns on a panel at the Buffalo Human Rights Center in Buffalo, New York. The Southern Maine Workers’ Center (SMWC) has been working hard all fall building out its campaign strategy and its base. On November 7, members gathered for a monthly HCHR meeting to look at preliminary data they’ve collected through surveys and discuss how everyone can participate in crafting a report next year. 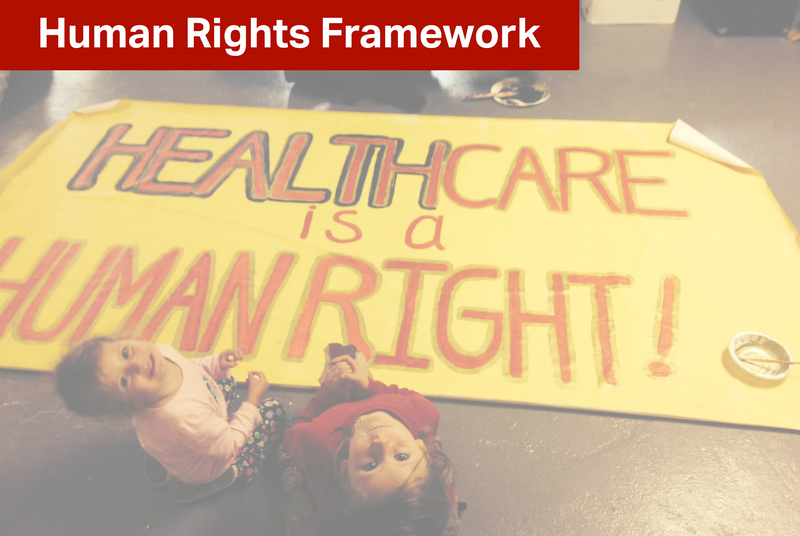 The report will illustrate Maine’s healthcare crisis through survey data and people’s stories, and will talk about why Maine needs a healthcare system founded in human rights principles that truly meets everyone’s needs. Healthcare Is a Human Right – Maryland is strengthening its county chapters and reaching out to new people at community events. The Carroll County chapter ran a booth at the annual FallFest, the Frederick County chapter surveyed nearly 100 people about the affordability of care at the county’s yearly Health Fair, and the Howard County Chapter tabled at the 50+ Expo. At the Expo, HCHR-MD members spoke with aging adults who are worried that Medicare won’t cover all their health needs, forcing them to try to come up with money to pay for supplementary private insurance to cover the gaps. In Anne Arundel county, the campaign is hearing a great deal from people about their struggles to get dental care, and is beginning to research dental policy to look for strategic intervention points to expand access to care. In December, HCHR-MD will debut their Healthcare Leadership School to advance the organization’s political understanding of healthcare policy and how these policies affect people’s lives. Put People First! Pennsylvania’s Southwest Philadelphia Organizing Committee hosted a Human Rights Town Hall last tonight. Residents of Southwest Philly, joined by neighbors from around Philadelphia and the state, shared their healthcare stories, spoke out about their struggles, and shared their vision for Pennsylvania’s healthcare system. The event also featured free support for enrolling in ACA insurance plans and free blood sugar and blood pressure screenings. 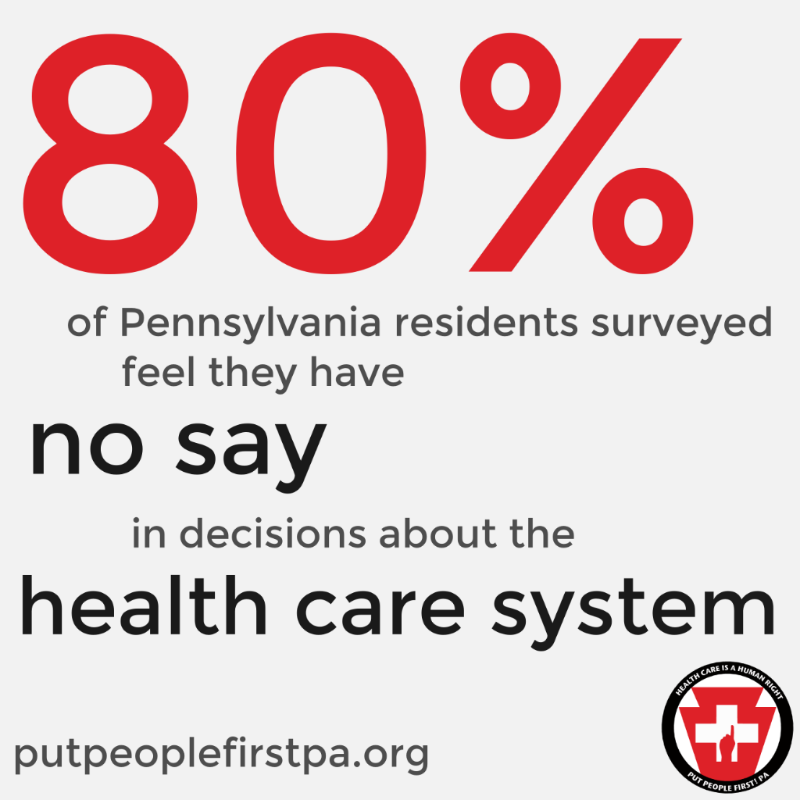 The Town Hall followed PPF-PA’s annual Membership Assembly in York, PA, in September. Dozens of PPF-PA members from around the state convened in York, and were joined by allies from Healthcare Is a Human Right Campaign-MD, the Fight for Drivers Licenses, Kairos: the Center for Religion, Rights and Social Justice, the Media Mobilizing Project, NESRI, the Pennsylvania Association of Nurses and Staff Professionals, the Pennsylvania Immigration and Citizenship Coalition, and Planned Parenthood. 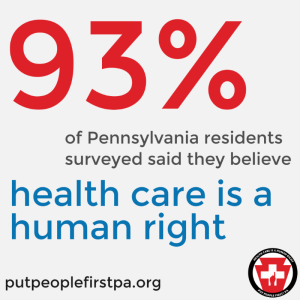 Everyone who attended built relationships, developed a shared political understanding, and discussed campaign strategies and tactics in the HCHR campaign and in PPF-PA’s related Fayette Health Justice Campaign. The Fayette campaign centers around SCI Fayette prison, which was built on a toxic coal ash dump that is poisoning people who are incarcerated, prison workers, and people who live in the surrounding community. PPF-PA is teaming up with environmental justice organizations and other allies on the campaign, and is focusing on organizing in Philadelphia with people who were formerly incarcerated at Fayette and the families of people who are currently imprisoned. 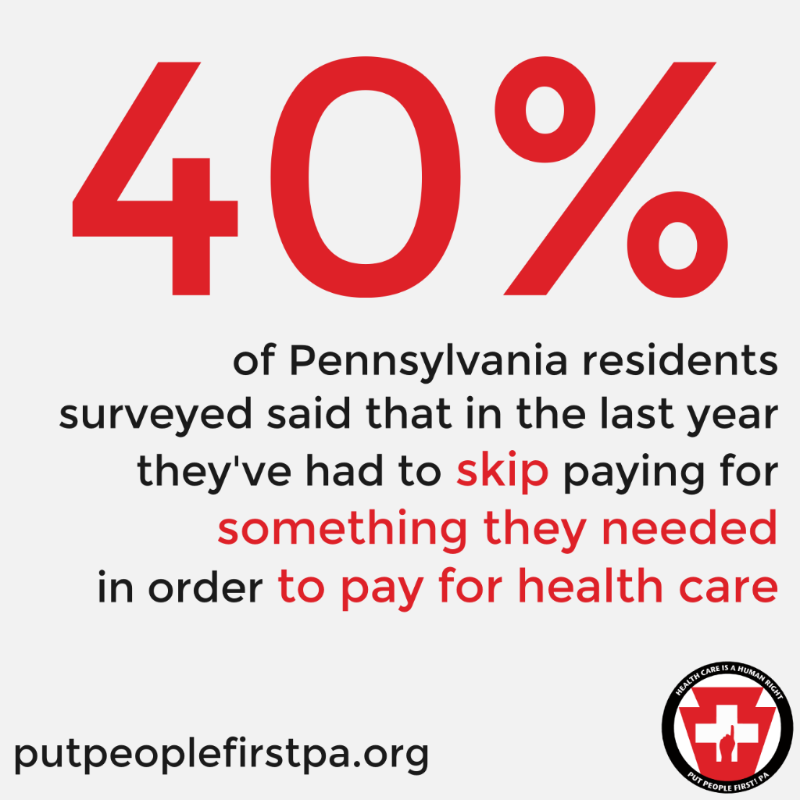 On October 1, three PPF-PA attended a Pennsylvania Insurance Department hearing on “surprise billing,” which is when a person receives a bill that they weren’t expecting after getting medical care that they believed was covered by their insurance. 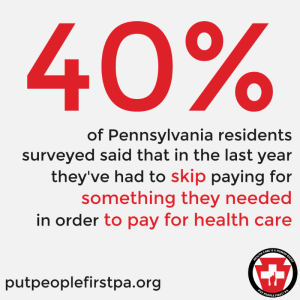 PPF-PA member Nijmie Dzurinko testified about a surprise medical bill she got, and explained how surprise billing is rooted in the deeper problem of a private insurance system that treats healthcare as a commodity rather than as a human right. The Media & Communications Team also published a new edition of PPF-PA’s newsletter. 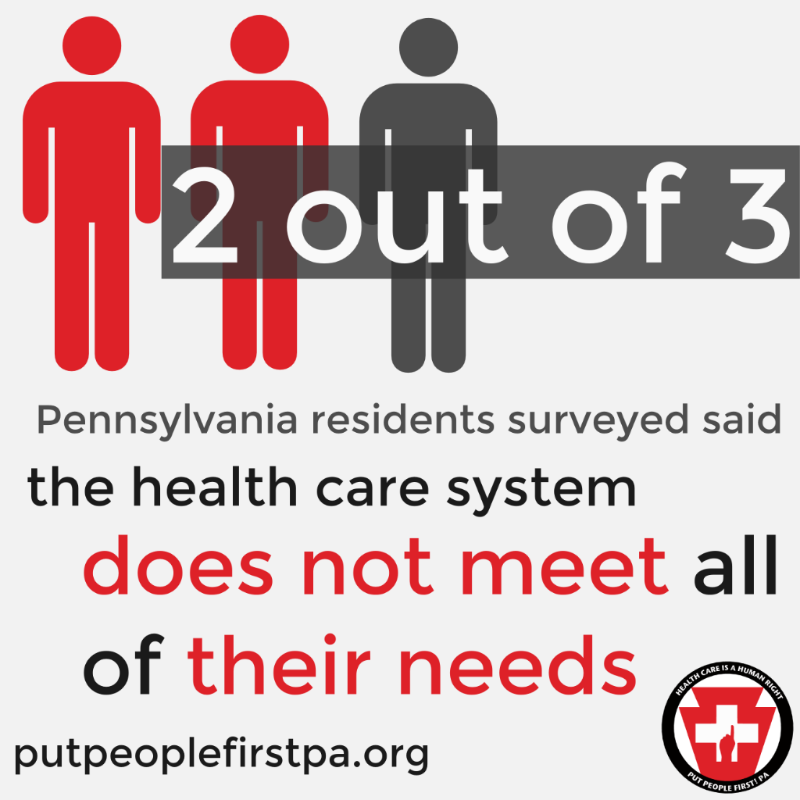 Download a copy to read more about the Fayette Health Justice Campaign, what PPF-PA has learned about base building, and the organization’s Leadership Across Difference Project to develop leaders who can bring communities together across race and other lines of division. Following a year of transitions in Vermont politics and within its own organization, members and staff of the Vermont Workers’ Center (VWC) have spent the summer and fall coming together to strengthen the organization and its base. 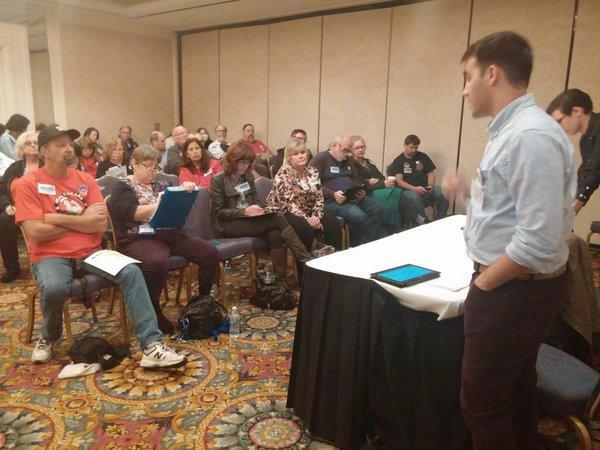 For the first time in its history, the VWC hosted four regional membership assemblies across the state, convening members in different regions to evaluate the previous year, discuss organizational priorities and chart out a path towards deepening membership involvement in the organization. Following the assemblies, members of the VWC leadership bodies met in October for a Leadership Retreat where they developed a draft campaign plan for 2016 and made plans to engage the full membership in the plan at this Saturday’s Annual Membership Assembly. At the Assembly, members will join together to discuss and decide on the organization’s campaign plans for 2016, elect members to the Coordinating Committee, and celebrate the Workers’ Center’s 17th year with an annual dinner open to the public. Meanwhile, on Halloween, fifteen members and staff ran in a road race for one of the VWC’s most successful fundraising drives ever, raising over $15,000 from over three hundred individual donors. 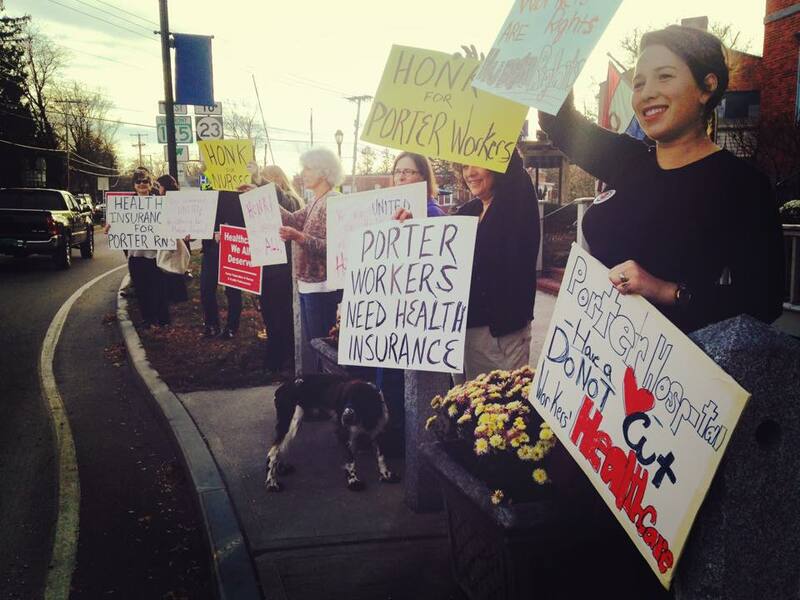 And since late October, members of the Addison County organizing committee have been organizing in solidarity with nurses and other workers at Porter Hospital in Middlebury, who are facing the loss of their healthcare access after the hospital announced it intended to cut healthcare benefits for all part-time employees. Watch this video created by the VWC’s Peoples’ Media Project documenting how a community delegation attempting to deliver 1,000 petition signatures was locked out and ignored by the hospital administration. Organizers in Colorado delivered over 150,000 signatures to the Secretary of State last month, putting an initiative on the November 2016 ballot that will let voters decide on whether to enact the country’s first universal, publicly financed healthcare system. 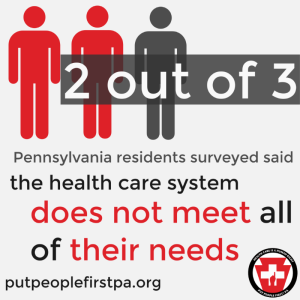 The plan is not perfect: it could be financed more equitably, eliminate co-pays, include dental care and long-term care, and establish more robust mechanisms to ensure accountability to people’s right to healthcare. And because of federal law, states are not allowed to ban private insurers or create a truly unified publicly financed system. 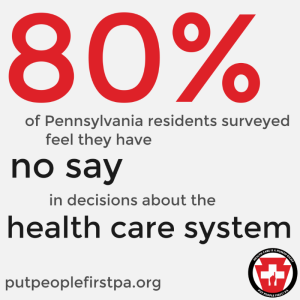 Nevertheless, the initiative would create a publicly financed healthcare system that would guarantee comprehensive healthcare to all residents of the state regardless of immigration status, marking a dramatic shift from a private insurance system toward a system that treats healthcare as a public good. It is far too soon to say, however, what the prospects are for the initiative to pass. Ballot initiatives can be a tool for democratic control and a way to circumvent recalcitrant legislatures, but they are also vulnerable to influence by powerful monied interests, which predictably employ anti-government, anti-taxation rhetoric to scare voters out of supporting important public policies. Just as everyone has been watching Vermont’s fight to win universal, publicly financed healthcare, people all over the country will now be watching Colorado as well.